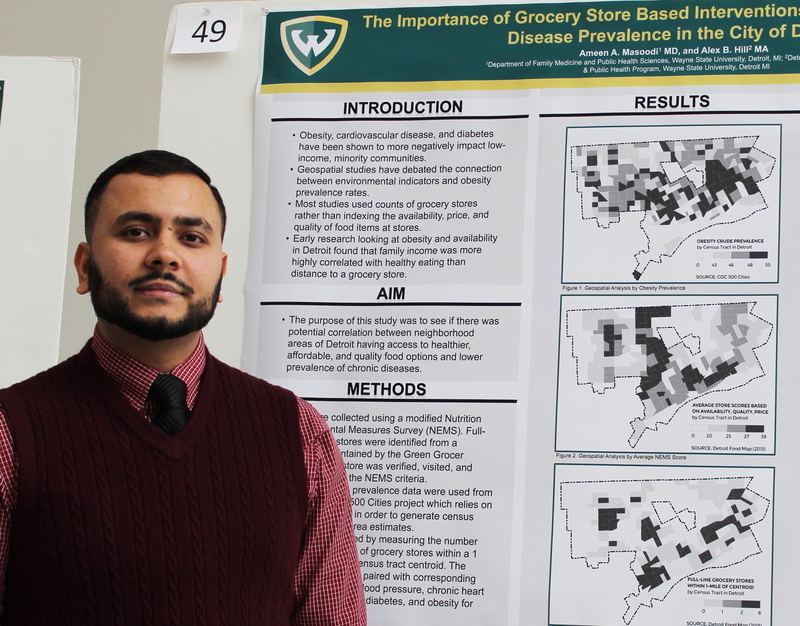 The 2018 Graduate and Postdoctoral Research Symposium included research from disciplines across Wayne State’s schools and colleges with over 120 poster presentations from postdoctoral scholars, doctoral and master’s students. The Graduate School awarded over $15,000 celebrating excellent poster presentations, Three Minute Thesis competitors and winners of the BEST sponsored business card competition. Judges consisted of a dedicated group of faculty advisors, postdoctoral scholars and doctoral students who volunteered their time to evaluate and respond to the work of their students and colleagues. See the full list of award winners. 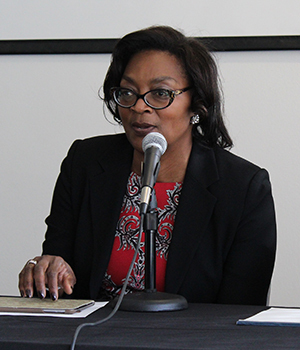 In celebration of the Wayne State University sesquicentennial and the 85th anniversary of the Graduate School, a panel of distinguished alumni was invited to discuss their own graduate student experiences and career paths, offering advice and encouragement. Panelists included: Gracie Lawson-Borders, Dean and Professor of the Cathy Hughes School of Communications at Howard University; Samantha Blackmon, Associate Professor of English at Purdue University; Kalyan C. Kondapalli, Assistant Professor of Biology at the Department of Natural Sciences, University of Michigan-Dearborn; James S. Jackson, Daniel Katz Distinguished University Professor of Psychology, Professor of Afroamerican and African Studies, and Research Professor at the Institute for Social Research, all at the University of Michigan. Read full panelist bios. This was the third annual Three Minute Thesis (3MT) competition with eight presenters nominated by their school, college or department. A panel of judges from across campus and the broader community evaluated the presenters’ ability to convey their research in three minutes with one compelling visual slide. The first place award winners were Lana Grasser, a Ph.D. student in translational neuroscience and Elisabeth Steel, a Ph.D. student in biomedical engineering. Elisabeth will be Wayne State’s representative at the Midwestern Association of Graduate Schools (MAGS) meeting with a travel grant from the Graduate School. 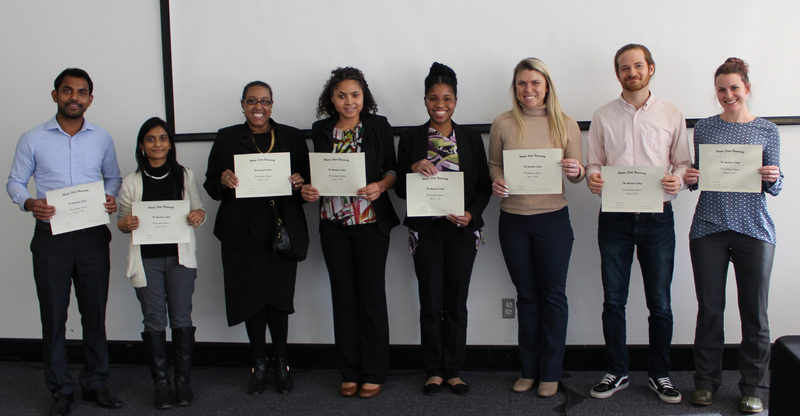 As part of the Graduate School’s micro-credentialing program, qualifying presenters received digital badges for oral presentation skills, poster design and 3MT.